This will be implemented from the one percent of consolidated revenue fund to be dedicated to health, as stipulated by the National Health Act. The chairman of Senate Committee on Health, Lanre Tejuoso (APC, Ogun Central), disclosed this at plenary on Wednesday while contributing to a motion sponsored by Andrew Uchendu (APC, Rivers). Mr Uchendu had lamented the insensitivity of officials of the National Youth Service Corps (NYSC) towards corps members who fall sick during the three weeks orientation. He made reference to Hilda Amadi who died last month at the NYSC camp in Yipkata, Kwara State. Miss Amadi, who was a graduate of Oil and Gas Engineering from the University of Port Harcourt, Rivers State where she hailed from, was said to have slumped and died on April 26. Her death came days after she suffered a bone fracture during a morning drill on April 23. Mr Uchendu expressed disappointment at the fact that no attention was paid to her by the NYSC officials. “They refused to let her friend, Jennifer Dike, take her home as they insisted that her parents must come from Port Harcourt to pick her up. “Even when the doctors resolved to take her to Illorin for serious attention, that decision was not implemented,” he said. He said her friend, Jennifer, saw an ambulance speeding out of the camp and was surprised that when she got back to the camp clinic to see another patient was on the bed. “On the same day, corps members were assembled and informed of the death of Hilda. Neither the camp commandant nor the Kwara State NYSC coordinator deemed it necessary to visit late Hilda at the camp clinic. “The corpse was taken home to Port Harcourt after four days by a Mr Morris, the ambulance driver alone without any official from the camp accompanying him. That is not the way to treat someone who was on National service,” he said. In his remark, Mr Tejuoso stated that the one per cent of the Consolidate Revenue Fund (CRF) will ensure that youth corpers are covered by health insurance. “I want to refer to the budget that we are passing today; that the issue of youth corpers in Nigeria is well highlighted. “The introduction of the one per cent of the consolidated revenue fund that is going to be introduced in this new budget will ensure that all the youth corpers are covered by the health insurance. “At events like this, you don’t need to rely on the doctors in camp. Any youth corper will be entitled to go to any hospital in the location in the local government that is covered by health insurance. “So this kind of incident won’t repeat itself. 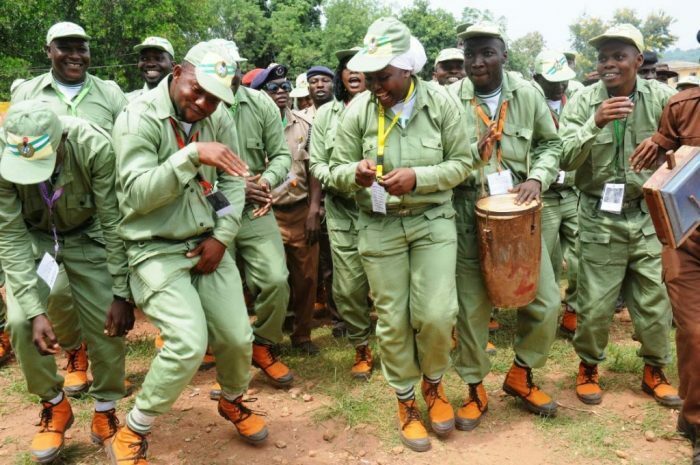 The solution is included in this new budget that all the 300,000 youth corpers, every year, will be covered by the health insurance,” he said. The Senate, thereafter, observed a minute silence for Ms Amadi and commended her friend, Jennifer Dike, for being there for her till her death. It also condemned the insensitivity of the camp commandant and the state coordinator towards the deceased.